Bring the Family on the birdwatching adventure into central Nebraska. Birdwatching around Grand Island can't be beat. 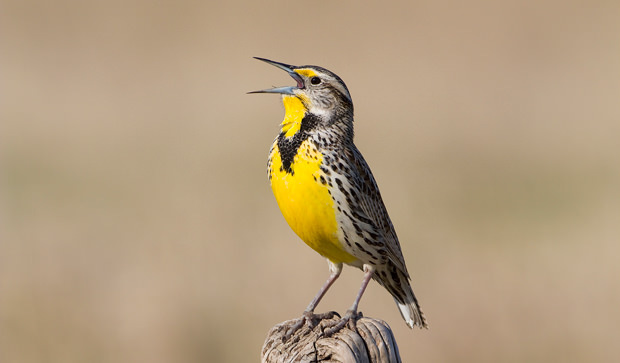 Here a Meadowlark, the state bird, sings over the prairie. Photo courtesy of Rick Rasmussen. 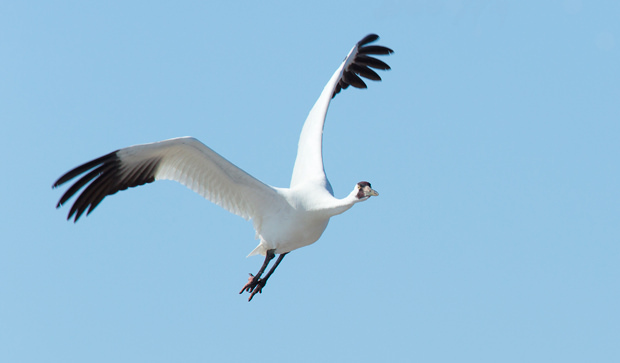 With the renowned Sandhill Crane migration every Spring come the remaining Whooping Cranes. Photo courtesy of Rick Rasmussen. 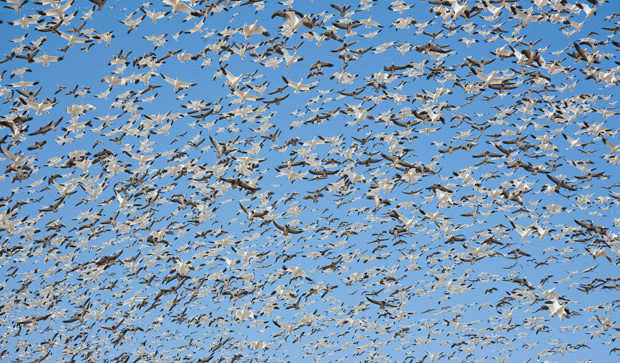 Millions of geese migrate through the area every Spring along with the Sandhill Cranes. Photo courtesy of Rick Rasmussen. Many different kinds of ducks can be found during the migration as well as year round. Photo courtesy of Rick Rasmussen. 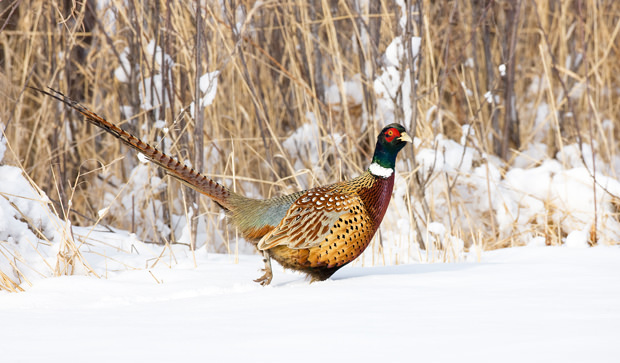 This Asian transplant, the pheasant, thrives on the Nebraska prairie. 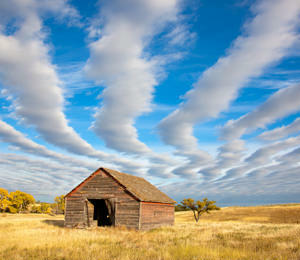 Photo courtesy of Rick Rasmussen. 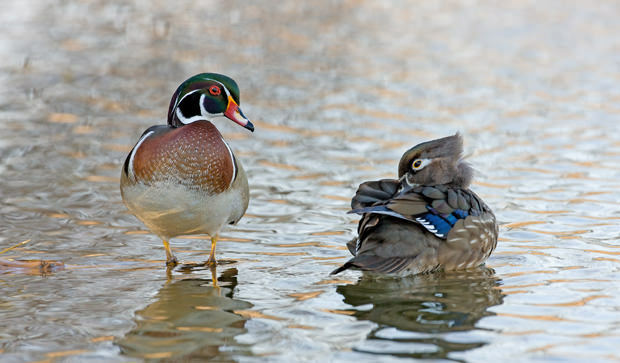 Hall County offers excellent birding opportunities for both the casual and advanced birder. 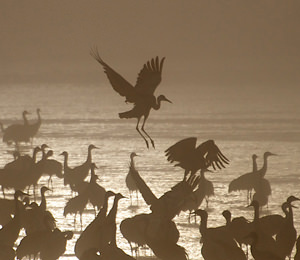 The world-class spring migration of the sandhill cranes is just the beginning of a steady stream of migrating birds that come through the neck of the hourglass of the central flyway of north America. 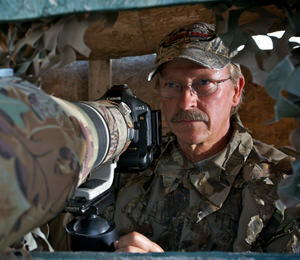 A Nebraska birder just completed his “Big Year” by tallying nearly 350 species of birds. 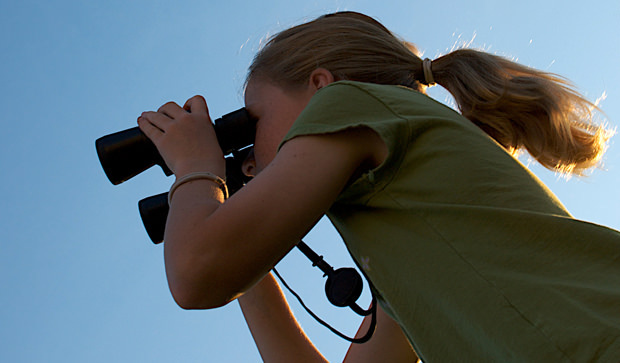 Grab your binoculars and birding guide and hit the trails for some great birding adventures. Spring and fall are the best time to bird with the migrants passing through, but both summer and winter offer great opportunities for unique birds such as the Harris Sparrow that winters in the area and the dickcissel and bobolinks that can be found in the prairie areas. The Platte river valley is always a good place to start your adventure with its open habitat and plentiful water.